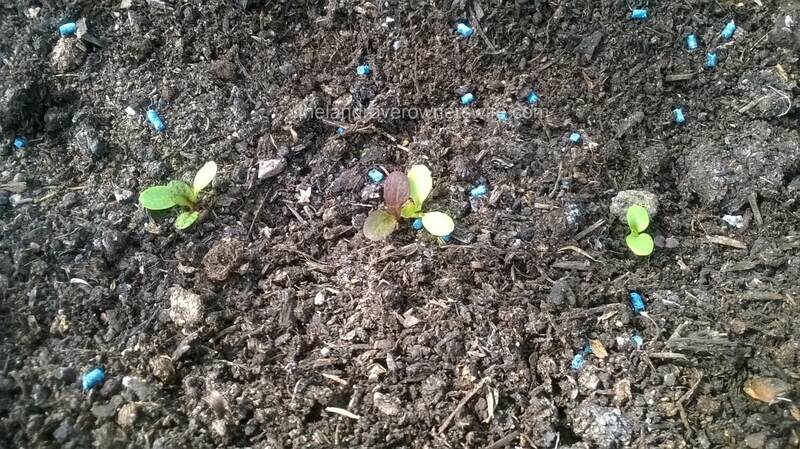 21st April: With a scattering of slug pellets to protect them (these are under netting so it is unlikely any wildlife will be able to access any pelleted slugs) the seedlings are growing well. They will need thinning out soon. 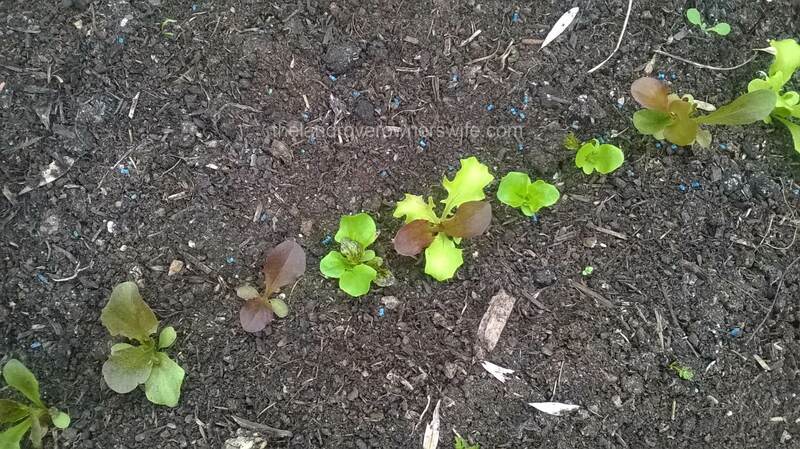 5th May: I have a row of perfect looking and very pretty little lettuces. 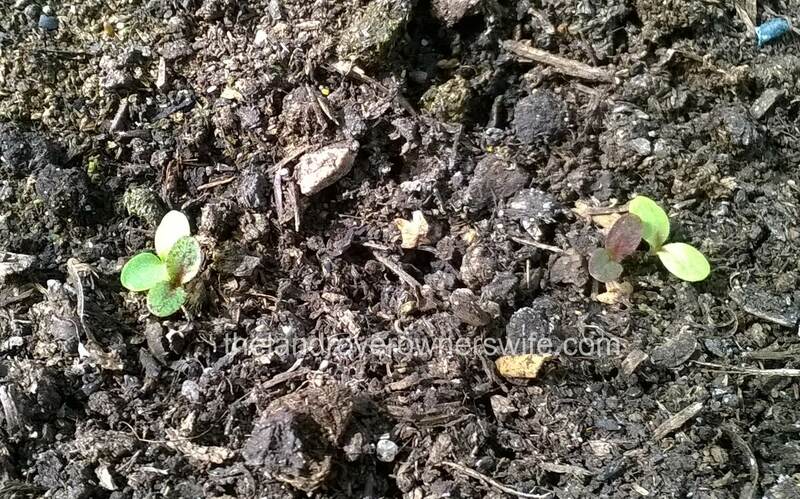 They may only be a total length across of about 1 inch but they are doing really well and are a cheery sight to behold.